← Yummy You! Pizza Scarf is at HotTopic.com AND on sale! 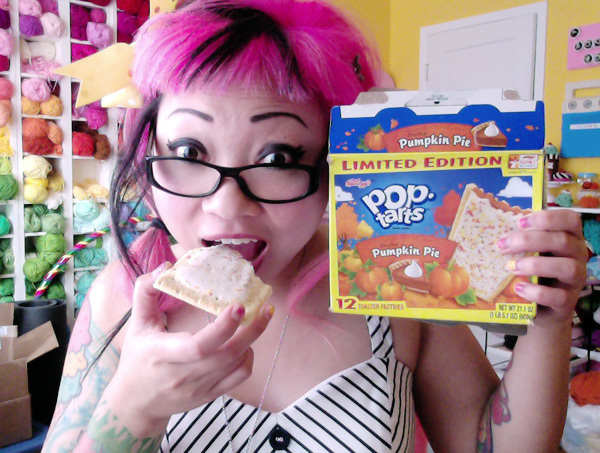 I have a Snack Confession: I LOVE PUMPKIN PIE POP TARTS. I didn’t want to. I really didn’t . I know that Pop Tarts are really bad for you. They’re like cardboard and plastic injected with fat and covered in sugar. BUT. I. LOVE. THEM. This is my second box. I’ve been buying them at Target. That they are limited edition makes me want to buy them more. Upon the rare occasion that I actually purchase Pop Tarts, I always opt for the non-frosted kind, so I was afraid that the Pumpkin Pie version would be too sweet for me, but it’s not. It’s perfect. 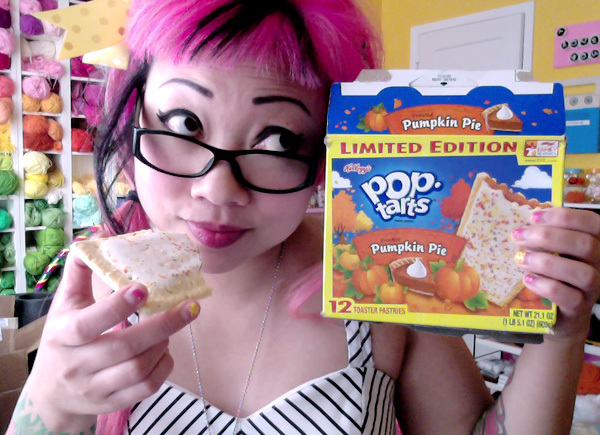 Marry me, Pumpkin Pie Pop Tarts. 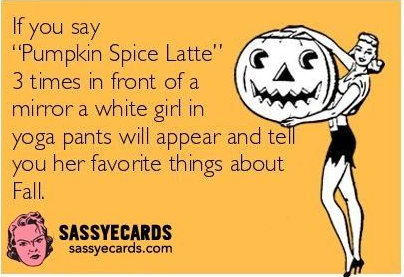 There seems to be this joke on the internet about who exactly likes the Pumpkin Spice Latte and all the season’s pumpkin spice whatchamahoozits, and if there’s any truth to that joke, then I guess my spirit animal is a white girl in Uggs listening to Lorde, eating Pumpkin Pie Pop Tarts. 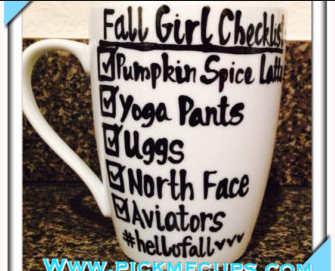 I didn’t know these existed but now I do and I need them!! I learned about them last year but was too scared. This year, you can’t pry them from my cold, dead hands! OMG I need to find out how to get some of these in Australia!!!! YUMMM! 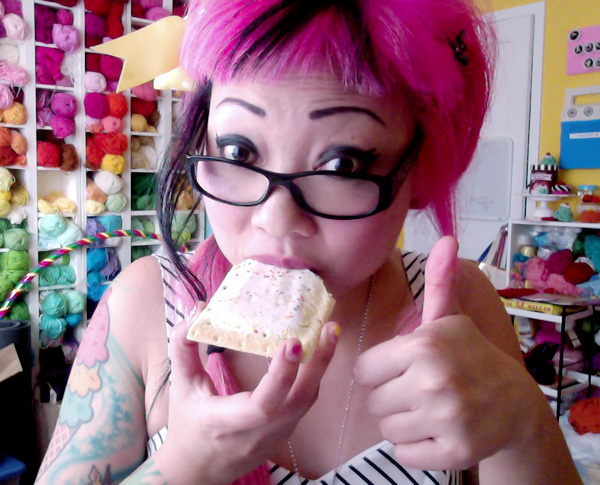 Oh, thank you for posting about the pumpkin pop tarts!! YAY, yay, yay, yay, yay!! 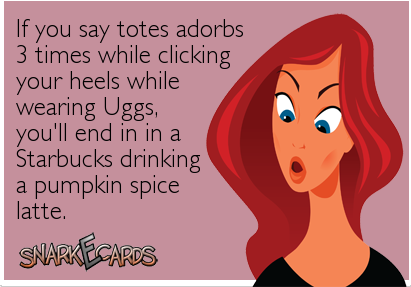 I love pumpkin flavored anything and I’m not ashamed to declare I love pop tarts! Now I have to get to Target. How did I miss this!!? I wish we had more Autumn/Halloween treats in the U.K.
Awwwww :(. 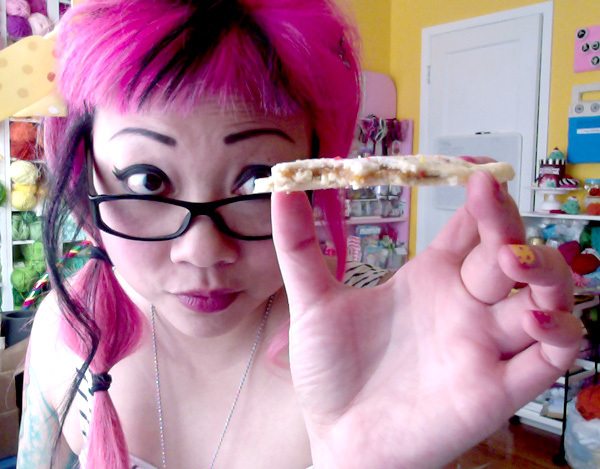 My friend wants to make vegan pop tarts at home together. 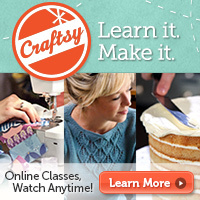 I wonder if there are good gluten-free recipes! This post made me seriously LOL! 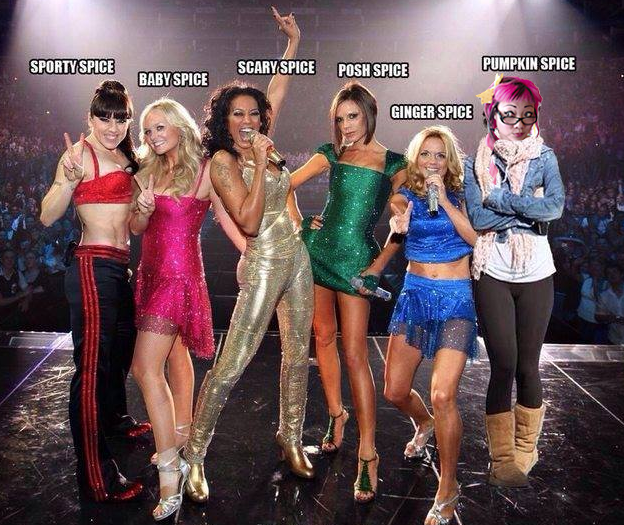 That picture of you as ‘Pumpkin Spice’ was priceless. Thanks for the laugh. PS This could almost have been a post on I Eat Yucky Stuff, haha. The ingredient list is a nightmare! AHHH you’re right!!! 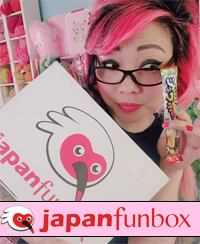 Sometimes I forget about my poor neglected Yucky Stuff blog….! LOOK AWAY ! LOOK AWAAYYYYY!